I came up with a unique and straightforward design to not only deliver the point across, but also to design a logo that is simple and creative. 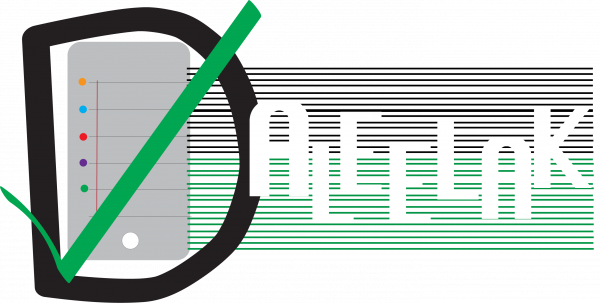 Daleelak is about helping people find freelance workers, cleaners and helping people getting their daily tasks done. I integrated a to do list and a big green check mark to represent getting work done. I choose green for the check mark because it means in progrss. A list helps people organize their day and I figured that would be a very important key point to catch people attention. Also by adding an iphone inside the D represents communication without communication or connection its hard to get daily work done. The most important part about this logo is to get the point across as clear and visible as possible. I also played with possitive and neggative space to create a nice design for the text. My style is minimalistic yet detailed oriented I believe that this design is modern, sleek and professional.